Waist: 24 - 25 inches. Hips: 34 ½ - 35 inches. Inseam: 11 inches. Rise: 7 ½ inches. Zips up front with ties and velcro closure at waist. 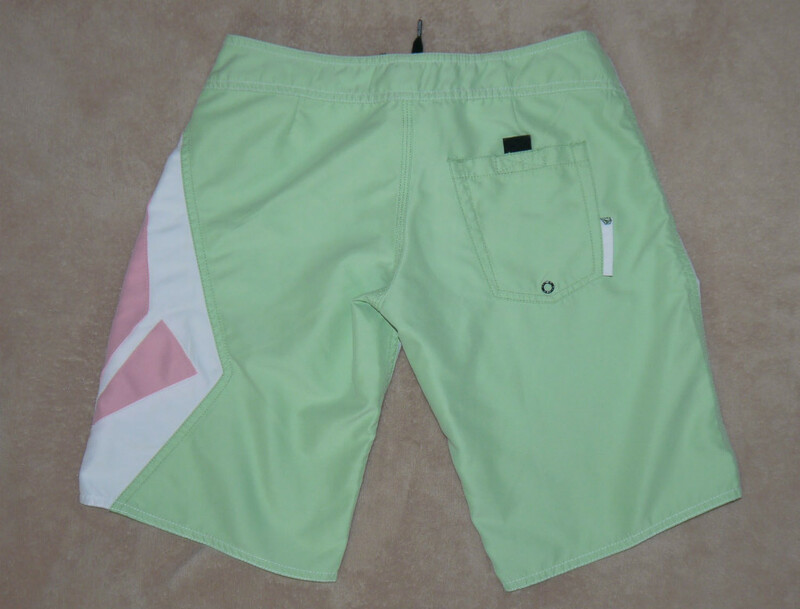 Shorts have one flat back pocket with velcro closure.